After a highly anticipated release, Ant-Man and the Wasp is expected to dominate the box office with a huge sting. The movie already soared to $11.5 million on Thursday night’s opening night and is expected to reach $85-95m in Friday night estimates. Moviegoers are swarming to see the movie in theater and critics are all buzzing about the movie that proves size really doesn’t matter. 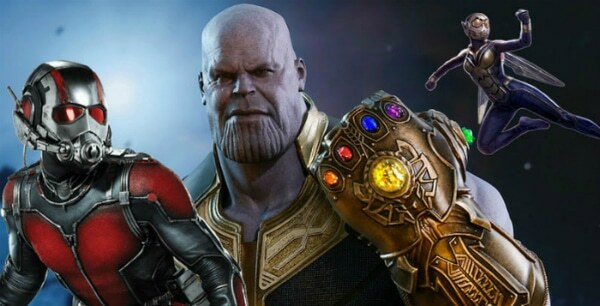 Evangeline Lilly gave a buzzworthy performance as the first leading female MCU character and Paul Rudd definitely didn’t disappoint his bug-eyed fans. The movie was filled with hilariously stingy jokes, memorable action scenes, and a truly wonderful family theme. However, the movie revolved around a very scientific world and attempted to make sense of a Quantum Realm. Therefore, it’s only natural that it was filled with scientific gobblygook and things that simply didn’t make sense. Although the writers tried to camouflage the buggy nonsense with funny jokes and witty remarks, we weren’t fooled. We caught all the character flaws, plot holes, and oddities that were circulating throughout the two-hour movie. So, put on your bug eyes and get ready to break the hive mind because here are the 32 Things That Don’t Make Sense About Ant-Man And The Wasp!